There are many portals to play online Oklahoma Gin Rummy games but there are strategies and tips that can make you a better player no matter which portal you choose. The games are won or lost based entirely on the players own skill and the strategies. Gin rummy and Oklahoma Gin Rummy are the most popular variants of the rummy. It is the game of choice for most poker fans. If they can’t sit in a poker game, rummy provides the same fast pace excitement they need. There are some tips and strategies, when used, will improve your game no matter how long you have been playing. The objective here is to help you to not only improve your game but also to get you to your first winning hand. Remain alert – alertness is the key to survival in this fast paced game. The momentum is determined by the players and can change depending on whom you are playing with. By concentrating fully on the play you can usually pick up clues as to who has a strong hand and who doesn’t. Analyzing the other hands correctly is the key to winning. Focused players know when it is best to get rid of their high cards and they also know that if cards were thrown out early they should not expect to see them again. Discarded cards – a player needs to learn to track the cards discarded by others. This gives you two distinct advantages. One you will know what cards are not in the game anymore. Secondly you will have an idea as to what cards are not needed by the other players. Knowing these two things will help you decide which cards are safe to play. The Draw – since this is a game played with a single deck it is very wise to remember what has gone before when drawing. This gives you an advantage in a way that you will not hold onto cards that are essentially dead. You will concentrate on drawing the cards you need to complete the melds in your hand or you may start a new vein for a meld if what you have is discarded. When you pick from the discard pile you essentially telegraph to the other players the cards you need, so trying to get them from the deck prevents this. Throwing out Cards– once you have drawn and completed your turn you are to throw a card into the discard pile. You will want to get rid of the deadweight (least useful cards). Since a good player will be paying attention to what is being discarded it is advised that you think carefully about this throw. If the game has been going for a long time, it may be best to rid yourself of any high cards that you still hold. If someone should go out you will have less deadwood. You also want to avoid throwing cards that will help an opponent complete a meld, how will you know, being alert and focusing on who is playing or keeping what cards. Knocking – this should be done early if at all. The longer you wait to “knock” the more likely it is that you will be “undercut”. An undercut carries a stiff penalty; this is to be avoided at all cost. 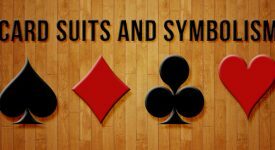 These tips and strategies work the same whether you are playing Oklahoma gin rummy with tiles or cards. These suggestions will give you an advantage in overall game play and can help you to win your first game.